The dry desert landscapes located in the middle east are well known for containing numerous scorpion species. 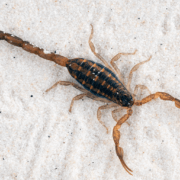 While native middle easterners may be familiar with many of the most venomous scorpions that exist within the region, non-natives in the region usually are not. Unfortunately, antivenoms that treat stings inflicted by middle eastern scorpion species are relatively lacking. Therefore, it is important for foreigners to be on the lookout for scorpions in the middle east, as the health consequences of a native scorpion sting can be serious, and in some cases, life threatening. Not surprisingly, many American troops in Afghanistan and Iraq have fallen victim to dangerous scorpion stings, as most American troops were not aware of the scorpion threat before deployment. American troops that were stationed in Saudi Arabia during the Gulf War in the early 90s quickly learned that scorpions were an ever present threat in the region. In one year 2,400 American troops out of 100,000 suffered scorpion stings while on base in Saudi Arabia. This is a whopping amount considering that only 16 out of 100,000 people in the nearby country of Oman suffer scorpion stings every year. The highest recorded rate of scorpion stings in the middle east is 1,000 out of 100,000. Considering these numbers, it is easy to conclude that American troops may not have been made aware of the scorpion threat prior to deployment. During the more recent war in Afghanistan and Iraq, scorpion sting rates among American troops likely remained high. Although no official statistics have been produced, soldiers returning to the US from the middle east self-reported spider and scorpion stings equaling 46.1 out of only 10,000. The probability of an American soldier sustaining a scorpion sting varies depending on location, season and rank. One of the most venomous scorpions native to the middle east is the fat-tailed scorpion. The Buthidae scorpion family includes the fat-tailed scorpion as well as many other highly venomous species. A sting from one of these species can result in shock, respiratory failure, pulmonary edema, coma and/or death. Do you known someone who sustained a scorpion sting while deployed overseas? As temperatures across the country drop and the holiday season approaches, iPest Solutions reminds homeowners to take steps to prevent pests from dropping by uninvited. Rodents and cockroaches, the most common winter pests, love nothing more than to spend the chilly winter inside a cozy home, bringing with them health and property threats. 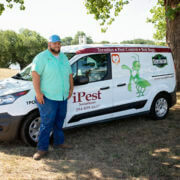 Most people associate cooler weather with relief from flying pests such as mosquitoes and wasps, but the winter brings on a different set of pest problems that are just as serious, rats are most likely to cause problems in Waco this time of year, so it’s important for homeowners to prevent these pests from entering their homes. Aside from being nuisances, rodents and cockroaches are vectors of a wide array of diseases and can exacerbate asthma and allergy symptoms – effects only worsened by the increased time spent indoors during the winter. 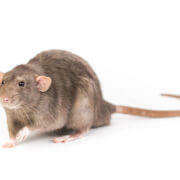 Rodents can also chew through drywall, insulation, wood and electrical wiring, increasing the potential risk for fires. Seal cracks and holes on the outside of your home to help prevent pests from getting inside. 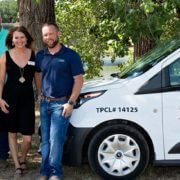 Be sure to check the areas where utilities and pipes enter the home. A mouse can fit through a hole the size of a dime. Store firewood at least 20 feet from the home. Pests often take up residence in wood piles and can easily gain access to your home if the pile is nearby. We encourage homeowners to remain vigilant throughout the winter for any signs of pest infestations and to regularly inspect for any possible points of entry throughout the home. 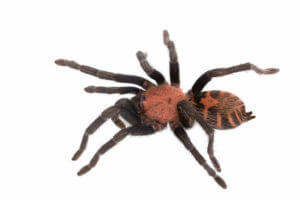 Spiders in general aren’t known for running around in the daylight. They tend to stick to dark corners, as this helps them better hunt unsuspecting prey and it helps them hide from other possible predators. However, there is one situation in which a spider has a bigger advantage working with light; if the spider in question is a web-weaving spider. 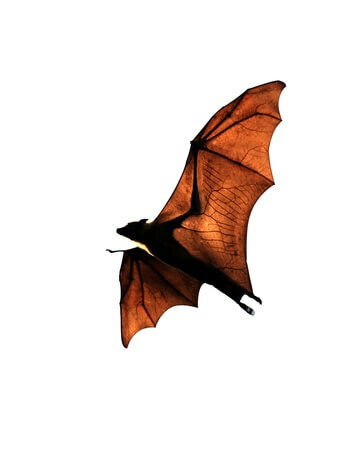 Prey such as moths are attracted to sources of light such as street lamps. However, these kinds of light-emitting objects also tend to be located in more urban and suburban areas. Tomer Czaczkes of the University of Regensburg, in Germany, believes that because of this, at least one species of urban web-spinning spider has lost its fear of light, or photophobia, in order to set up their web near such lights and take advantage of the better access to prey attracted to light. It was after seeing many well-fed and happy spiders building their webs near streetlamps in Regensburg that Dr. Czaczkes began to wonder if city life has changed spiders’ behavior. When he found out that urban moth populations are less attracted to light than their rural cousins, he thought that the reverse might be true for urban spiders. Urban spiders should be more attracted to, or less afraid of, lights than rural spiders. To see if his theory was true Dr. Czaczkes and his colleagues took 783 spiderlings from both rural and urban areas, as well as a number of different countries, and placed them in boxes individually that had a board dividing the space in half. He lit one side of each box with a lamp that produced no heat, and left the other side dark, with two tiny gaps allowing the spiderlings to cross between the two sides. After randomly placing each spiderling in either the dark or light side of the box, the researching then watched to see in which side they built their web. The results were exactly as Dr. Czaczkes expected they would be. Two thirds of the spiderlings collected from rural locations built their webs in the dark side of the box. 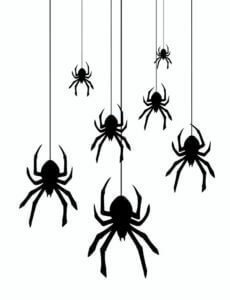 Their urban cousins, however, only built half of their webs in the dark side, suggesting that the urban spiders were indeed less afraid of light. The rural spiders were still very photophobic, but the urban spiders had adapted to the point where they did not exactly like the light, but had at least ceased to fear it. Have you ever noticed how many spider webs in urban areas are close to light fixtures? 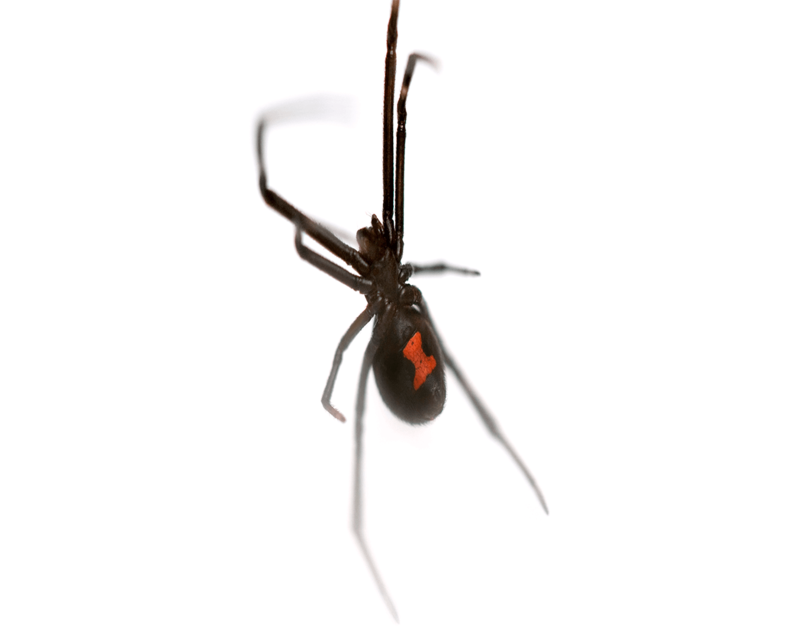 Have you noticed less spiders hanging around near lights in rural areas? It may be hard to believe, but for thousands of years, insects have been a source of inspiration for many artists. One of the earliest cave paintings ever found depicts insects, and Renaissance artists used a type of red paint that was made from ground up cochineal insects. However, one artist from China is using insects in a way that has never been thought of before, and needless to say, his art is quite strange. Zhang Yuebai is an artist and insect enthusiast who creates sculptures made of hollowed out insect corpses. 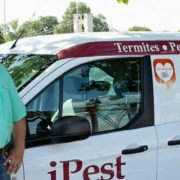 Zhang orders a variety of different insect species from online vendors. Once the insect-filled packages arrive to his home, Zhan removes every bit of each insect’s innards. Although this may sound like a macabre act, Zhan feels as though his artwork is ultimately a celebration of insects. Once an insect’s guts are removed, Zhand dips the insect’s body into preservative chemicals. Once this is complete, holes are drilled into the hardened insect corpse so that he can place several mechanical parts inside of the hollowed out body. These mechanical parts include gears from watches and sometimes even valuable gemstones. Zhan also builds armor for his insects using the same types of materials. The final products looks like a sort of robo-insect. According to Zhang, who is only 23, his insect sculptures can take a long time to complete, as the process requires patience and precision. Zhang does not just work with insects, but enjoys working with the occasional arachnid as well. He once accidentally broke the legs of a preserved spider that he was making into one of his sculptures. The insect sculptures created by Zhang retain their natural colors, and he moves each sculpture into positions that are fitting for a particular species. For example, Zhang admires the mantis shrimp for its powerful claws, so he made a sculpture with one that featured a mechanical spring mechanism on its claws, which, according to Zhang, represents the force behind each slash of a mantis shrimp’s claw. Zhang takes pride in knowing that he is the only artist of his kind in all of China. However, he is probably the only artist of his kind in the world. Many of Zhang’s sculptures are sold for prices of around two to three thousand dollars. Do you believe that Zhang’s artwork is inhumane toward insects? When I think of fossils, the creatures that tend to come to mind first are dinosaurs, and I always imagine that they are found in far off, isolated locations in the desert, similar to the one portrayed at the beginning of Jurassic Park. But fossils come in all shapes and sizes, and one of the most important fossil sites for insect and arachnids in the world is actually located right in the good old USA. The large site is also not in the desert, but rather a forest in Colorado. To top things off, you don’t even have to be an archeologist or scientist to visit this famous site. The Florissant Fossil Beds National Monument welcomes all visitors to view this incredible site and even walk through the forest and get up close and personal with some of their oldest fossils in their natural habitat. Florissant Fossil Beds National Monument is one of the world’s most diverse and richest fossil sites. You won’t see any giant bones jutting up from the ground. These fossil beds, which were discovered in 1873, contain a whopping 50,000 specimens, including 1,700 animal and plant species. 1,500 of those species are comprised of insects and arachnids, with insects such as spiders, beetles, flies, wasps, cockroaches, aphids, ants, as well as almost all of the species of butterflies in the country. The most popular part of the fossil site is the Ponderosa Loop, and half-mile-long and wheelchair-accessible hike that brings you right to some of their most famous fossils, including the “Big Stump”, the largest petrified redwood in the entire monument, originally reaching over 230 feet in height. That is one giant tree, fossilized or not. It’s like stepping back in time to when dinosaurs and giant insects roamed the Earth, long before we came along. Have you ever visited a fossil site? What did you see there and what was your experience like? You likely have nostalgic childhood memories of catching fireflies in a mason jar. If you happen to be one of the few kids who never captured lightning bugs, then you must have, at least, been in awe of their seemingly magical ability to flash a bodily glow at evenly spaced intervals. Even after reaching adulthood, it is hard not to recognize fireflies as possessing a truly unique ability. After all, how many other insects, or any type of organism, do you know of that can glow? Algae, maybe? Well, as it happens there are many arthropod species that are capable of glowing, but why they glow is another question that science has yet to answer. Certain spider, scorpion, and even cockroach species are known for their glowing ability. Considering all the natural phenomena that science has come to explain, it is surprising to learn that researchers only understand the physiology behind the glowing ability of certain scorpion species, and of course, lightning bugs. The glow of lightning bugs and other arthropods is known as “bioluminescence.” However, the internal bodily mechanisms that produce bioluminescence in lightning bugs is entirely different in scorpions. Scorpions glow by means of “fluorescence,” which still falls under the category of luminescence as opposed to incandescence. The exoskeletons of scorpions contain certain molecules that absorb ultraviolet light before re-emitting visible light. The outermost layer of a scorpion’s exoskeleton is called the “epicuticle,” and this is where the glow originates. The reason why some insects glow under UV light is not fully understood. Although humans cannot see UV light, insects can see it, whether they glow or not. The outside world appears quite different when UV light can be detected. One reason as to why insects see UV light may be to locate shelter. This theory was proposed after researchers put tiny UV light-blocking goggles on scorpions. These goggled scorpions seemed to have more difficulty than normal when it came to locating shelter. Another theory suggests that scorpions and other insects inherited the ability to detect UV light as an adaptation that allowed them to tolerate the intense sunshine that their earlier sea-dwelling ancestors had not been exposed to. While these theories are plausible, there may be no way of discovering why insects adapted to detect UV light. Would you find it interesting to wear glasses that allow you to detect UV light so that you could see the world like an insect?